King Krill were a loud, obnioxous power pop 4 piece from Adelaide. They had been spawned form the loins of Corey Bishop and David Stokes formerly of legendary band Contrapunctus and Nick Coates of Punch and Judy. They wrote infinately catchy songs and liked playing loud. After numerous line-up changes and a host of un-used stuido recordings they released 'Enter The Halibut' on cassette to universial acclaim. 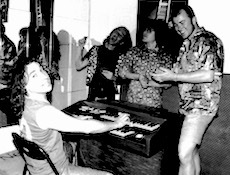 'For those about to Pop' was their third release, first on Pop Gun. 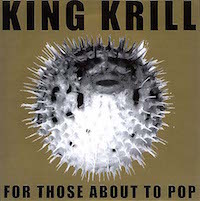 King Krill are still going today with a new line up.